September 20, 2013 - The National Transportation Safety Board announced that it has issued a Final Rule to implement several changes to its Rules of Practice applicable to aviation certificate enforcement appeals. (3) litigants now have the option of appealing the NTSB's final orders to either a Federal district court or a Federal court of appeals. The IFR implemented these Pilot's Bill of Rights requirements. Under the IFR, an FAA certificate holder is permitted to submit a motion to dismiss an FAA complaint if the FAA fails to disclose releasable portions of its EIR. 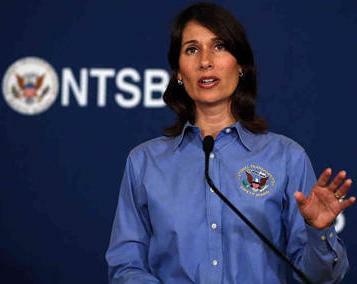 The NTSB received 10 comments in response to the IFR. The Final Rule describes these comments in detail, as most of the comments provided substantive feedback and suggestions. In considering the IFR comments, the NTSB determined it should include a proposal to extend the EIR availability requirement in the Pilot's Bill of Rights to emergency enforcement cases. As a result, the NTSB is also publishing a new Notice of Proposed Rulemaking (NPRM) in conjunction with publication of the Final Rule in the Federal Register. Both the Final Rule and NPRM are available (Final Rule) and (NPRM).